Slice off the tops and bottoms of the oranges, then peel all round the fruit down to the flesh. Quarter the oranges then cut into slices, mix with the sugar and peppermint, cover and leave to infuse for approx. 30 mins. Bring the milk and butter to the boil. Remove the pan from the heat, steep the tea leaves in the milk for approx. 5 mins., strain and cool. Combine the flour, salt and sugar. Add the tea-steeped milk and egg, mix to form a smooth batter. Cover and leave to stand at room temperature for approx. 30 mins. Heat a knob of butter in a non-stick frying pan. Add 1/4 of the batter, as soon as the crêpe separates itself from the base of the pan, turn and finish cooking. Repeat for the remaining crêpes and keep warm. 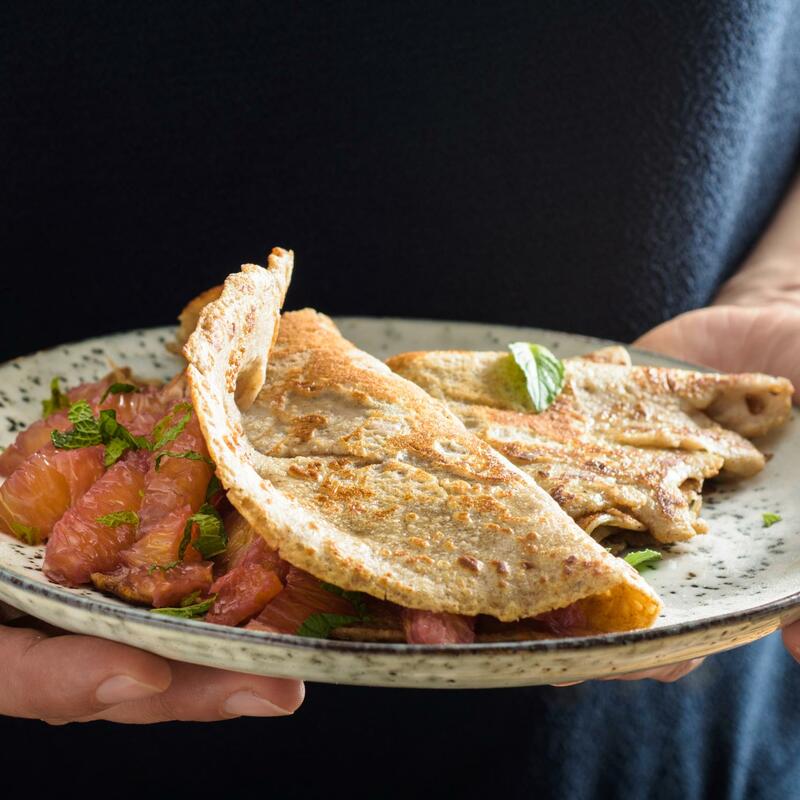 Spoon the blood orange salad onto the crêpes, fold and dust with icing sugar.